A couple of pictures have been leaked from the upcoming anniversary episode. No past Doctors, alas, but still a little something that will please long-term fans of the show. 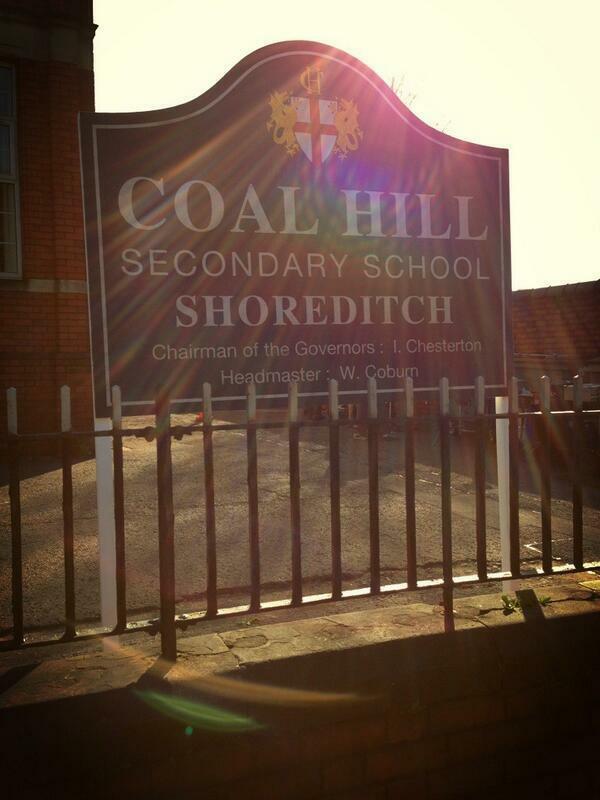 This first picture depicts the sign of Coal Hill School, which the Doctor's granddaughter Susan attended in the very first episode of Doctor Who in 1963. It is also the place the Doctor's first two companions, Barbara Wright and Ian Chesterton, worked. Note that the Chairman of the Governors is 'I Chesterton', while the Headmaster is 'W Coburn' - the surname of the author of An Unearthly Child, which launched the series on 23rd November 1963. 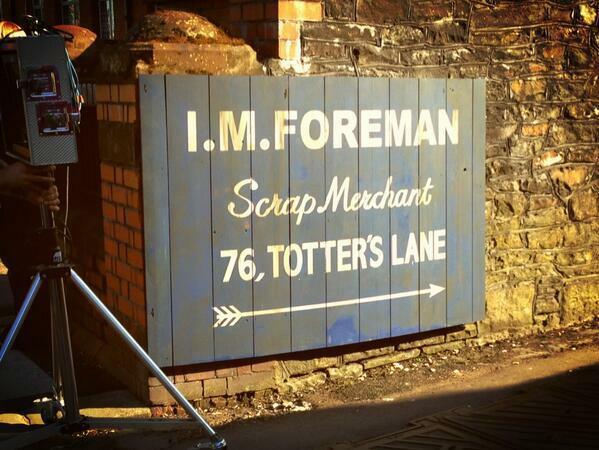 Not only are these the fictional locations used for the first episode of Doctor Who, but they also served as the locations for several key scenes twenty-five years later in Remembrance of the Daleks. And now, a further twenty-five years on, the series returns there once again.